The Sears at Colonie Center is closing this mid-September, the company said in a statement Thursday. the store will remain open until then and a liquidation sale will start June 30. Eligible employees will receive severance and be given the opportunity to apply at other Sears and KMart stores. The full statement is below. Colonie Center announced Tuesday that a J. Crew Mercantile location is set to open there this summer. The store will be on the lower level of the mall near Sephora. 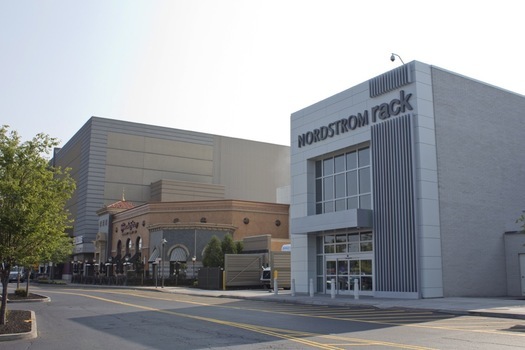 Nordstrom announced Wednesday that it's opening one of its Nordstrom Rack stores at Colonie Center in fall 2015. The company says it will be a two-level store -- roughly 35,000 square feet (roughly the same size as the new Whole Foods there) -- and it sounds like it will be in the same end of the mall as Sears. Nordstrom Rack is the discount outlet for the upscale department store chain. The company says Rack offers "customers a wide selection of on-trend apparel, accessories and shoes at an everyday savings of 30-70 percent off regular prices." 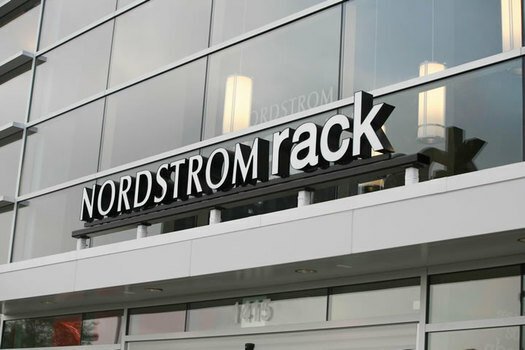 As it happens, there are more Nordstrom Racks (162) than full Nordstroms (118). And the Colonie Center is one of 22 Nordstrom Rack locations the company has announced it plans to open in 2015. It's interesting to us that, for whatever reason, the Capital Region appears to be getting attention from higher-end retailers over the last few years. Fresh Market has two locations in the region, Whole Foods opened earlier this year, Lord & Taylor returned at Crossgates just recently, and now (the not-quite-so-high-end-version of) Nordstrom. We're curious if that points to something shifting in the demographics of this area. (More high-income households because of the nano/chip fab industry, maybe?) Or is it just that these upscale retailers have already expanded everywhere else and they're just getting around to the Capital Region. photo courtesy of Nordstrom, Inc. 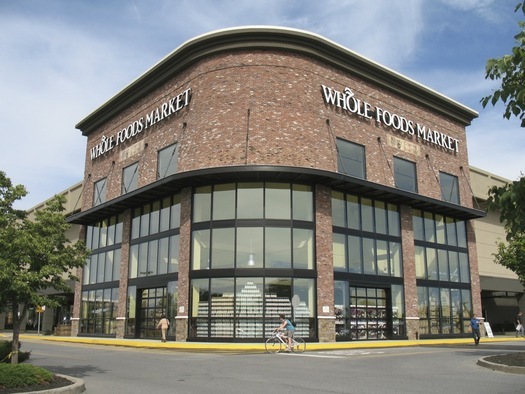 The long awaited Whole Foods at Colonie Center opens this Wednesday. We figured a lot of people will be curious, so we stopped by for the media tour Monday afternoon. Jimmer Fredette will be at the Colonie Center Barnes & Noble on Monday (September 17) to sign copies of the new book, The Contract: The Journey of Jimmer Fredette from the Playground to the Pros. The event starts at 6 pm. We suspect there will be a long line. This is the story of two brothers from a blue-collar Mormon family in upstate New York Jimmer and T.J. both in need of help. One trying to make it to the NBA. The other trying to stay alive due to a debilitating illness. Both a lifeline to each other. T.J. wrote a contract for Jimmer to sign: I, James T. Fredette, agree on this day, Jan. 27, 2007, to do the work and make the necessary sacrifices to be able to reach my ultimate goal of playing in the NBA. Jimmer signed the contract, T.J. signed as the witness, and as Jimmer s fame spread, the contract became a prominent part of his backstory. Readers will learn about Jimmer s childhood and teen years as well as his special bond with his brother, T.J. 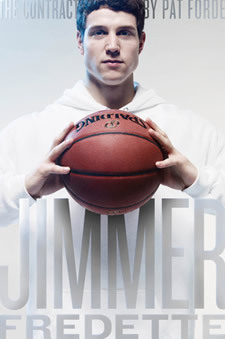 Chapters include Jimmer s college basketball experience, his doubts, his goals, and the role his faith plays in his life. This past season was Jimmer's first in the NBA. His season with the Sacramento Kings didn't go particularly well -- he averaged 7.6 points in 18 minutes a game while shooting 39% from the field. Not so hot for the #10 pick in the draft. Jimmermania was put on hold. And there have been trade rumors recently. That might be a good thing -- Sacramento seems like a mess of a team. A Whole Foods -- good. In Colonie Center -- maybe not so much. 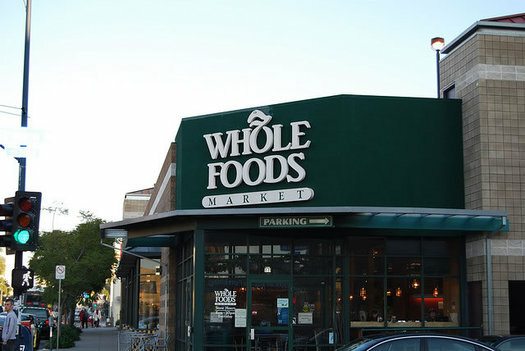 I'm happy that Whole Foods is expanding into our area. I'll lamely admit that the so-called "grocery store wars" are exciting to me. I shop at Honest Weight Food Co-Op, farmers' markets, and belong to both a CSA and a CSB, but like many of you, I still buy a chunk of my weekly groceries from grocery stores. Having more options for buying affordable, healthy foods along with products for specialty and food-allergic diets is good for everyone. Competition is good. Investment in our region is good. The Colonie Center location for Whole Foods? Not good. Sometimes it doesn't take much: we ended up more than reasonably delighted by the soda fountain in the new Five Guys at Colonie Center. 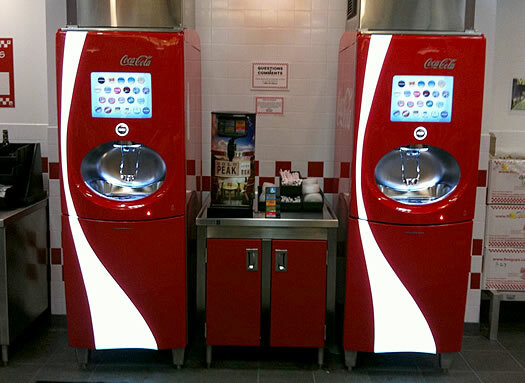 It's one of the somewhat-new Coke "freestyle" machines that allows you to custom mix a bunch of different sodas and flavors. The company says there are 100+ combinations. A raspberry Coke? 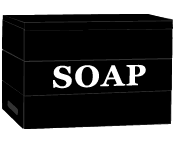 Why, yes, we'd love one. A raspberry-vanilla Coke? Hey, now. Vanilla Barq's? Smooth. Peach Sprite? Sure, why not. Orange-vanilla Coke? Hmmm... ooh, it's like a creamsicle. A few more photos after the jump, if you're curious. When we got the news in November that Bettie's Cakes had opened a temporary location in Colonie Center for the holidays, we thought something like this might happen. Bettie's Cakes owners Lorraine and John Murphy say there's been enough demand at the location to stick around on more permanent basis. They just signed a lease that will keep the cupcakes at Colonie Center until the end of 2011. That's in addition to Bettie's downtown Saratoga location, its double decker cupcake bus and a cupcake truck. Colonie really has become the epicenter of the Capital Region's cupcake boom. Bonus food item The Epicurean announced today that it's closing its Route 7 location in Rensselaer County. It says business is down about 20 percent there over the last few years -- and they've decided to focus on their Latham Farms location. The Epicurean also runs the cafe at EMPAC. 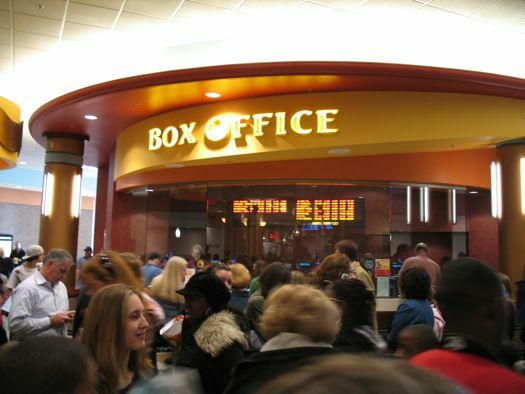 A woman is waiting in line for one of the discount movies at the new movie theater at Colonie Center. An usher is handing out promotional flyers. Woman: What do you know about this Sweeney Todd? Usher: Not much. All I know is what I heard from Regis Philbin. He says it's really bloody and gory. 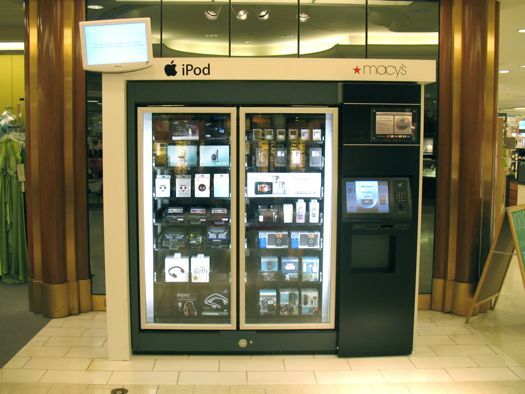 An iPod vending machine at Macy's? What? For when an iPod craving just hits you out of nowhere. We saw this on a swing through the Colonie Center Macy's this week. It's a vending machine for iPods, cameras and other digital media gadgets -- like a little piece of Japan right next to the cosmetics department. It looks like Macy's has been rolling out these vending machines over the last few years. The company pretty much dumped selling electronics back in the late 90s and is hoping the iPod-o-mat (our name, not theirs) can help them get back in the game. OK, but why a vending machine? Couldn't you just sell iPods at, you know, a counter or something? It seems the vending machines are supposed to help spur impulse buys and... wait for it... attract younger shoppers. + The Wal-Mart. Has. An Escalator. 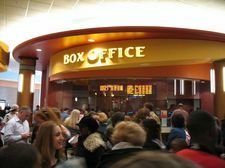 The theater at Colonie Center: thumbs up or down? Is that sweet and sour pork I smell? And pizza. And soup. For $2, there's probably something you'll like. You know that movie theater they've been building on the roof of Colonie Center for seemingly forever? Well, it's finally ready. The official opening is this Friday, but the theater's having a sort of dress rehearsal the next few days, which means you can check it out for cheap. Really cheap. Admission is $2 to showings of not-exactly-new-anymore movies. Popcorn and drinks are also two bucks. The preview lineup is kind of a mixed bag. For every Atonement there seems to be a 10,000 BC. But it's hard to go wrong for $2. And given that the place is brand new, your feet might not even stick to the floor. Make it work! Tim Gunn's coming to town! 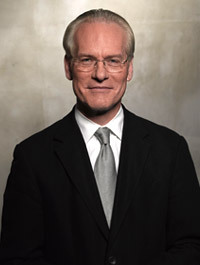 There was squealing at the AOA satellite office this afternoon when we found out that Tim Gunn -- the best thing to come out of Project Runway -- will be at the Colonie Center Macy's (you know, the "good" Macy's) April 26 at 2 pm. It seems that Tim, who's now chief creative officer of Liz Claiborne, will be demonstrating "how to build a versatile wardrobe with a couple of key pieces." And maybe he can explain to us why Victorya seemed like such a pill on the last season of Project Runway. UPDATE: You'll need reservations for the event. 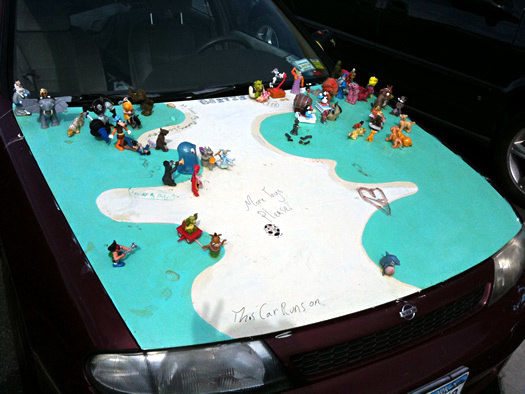 Call 1-888-622-9769 and apparently you can leave a message to reserve your spot. Probably. The reservation process seemed a little unclear. Stylish crocodile sighting at Colonie Center. The Macy's at Colonie Center (also known as the "good" Macy's) just got a little better. There is now a BCBG MaxAzria section at the store. It's definitely edited, but it's also the real deal; not a watered-down department store version. The saleswomen told me that the "boutique" is brand new, and the company is experimenting with select stores on the East Coast. Another new development : Lacoste. A year or two ago Macy's got a men's Lacoste section, and I remember complaining because they conveniently left the ladies out to pasture. Well that's been addressed as well. There is now a women's Lacoste table. They have both the classic boxy cut and the more modern fitted version in maybe 7 or 8 colors. It's not much people, but a little goes a long way. When you hear that there are going to be tryouts for America's Next Top Model at the local mall, you have to expect it all: zealous pageant-mom types, Paris Hilton-types, and way too much make-up. 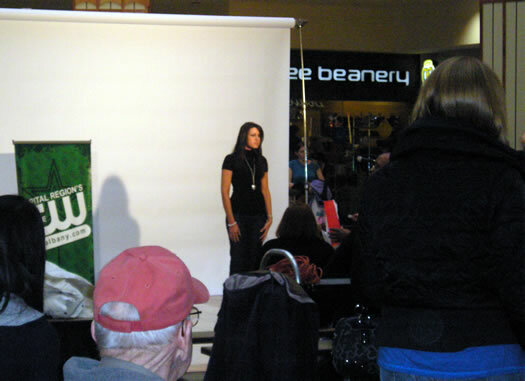 Instead, the auditions at Colonie Center this past Saturday were sort of... low-key. Fly 92 was there (Big Ray was the MC), as was the CW, which airs the show. There were lots of girls of various heights, sizes and ages decked out in stilettos, skinny jeans, and channeling the last five looks of Victoria Beckham. The crowd was the occasional family member or friend holding up a sign to support their daughter/sister/BFF. All hopefuls stood against a white backdrop and were photographed and video-taped facing the camera and in profile. They also had to do a runway walk and a pose (yeah, they ALL need to work on that), and then they had to say a little something into the mic. On-lookers couldn't hear what was said, but I'm pretty sure that was the part when contestants talk about how they've wanted to model their whole lives and how they want to be like Tyra Banks when they grow up. Unlike the show, there was no drama (much to my chagrin). Just a lot of high-school girls with a bit of diva in them, hoping to be the next big thing.